Are you anxious to know how to pass UPCAT? Students have different reasons why they’re pressured to ace University of the Philippines’ entrance exam. It could be family, school, or simply the prestige of being one of the select few to become a Iskolar ng Bayan. U.P. has always been home to Philippines’ crème de la crème. Declared a National University in 2008, it has produced 7 out of 14 Philippine presidents; 12 Chief Justices of the Supreme Court; 30 out of 31 National Scientists; and 34 out of 57 National Artists. 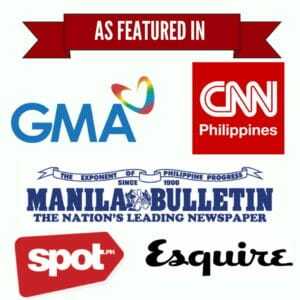 It is also ranked as the top university in the country by the QS World and Asian University Rankings with the Ateneo de Manila and the University of Santo Tomas following behind. However, what makes the University of the Philippines a magnet for student hopefuls and their parents is the affordable cost of tuition fees. U.P. is partly subsidized by the state and makes use of STFAP or Socialized Tuition and Financial Assistance Program to determine a student’s enrollment fees. Students in a lesser income bracket pay less than students in higher income brackets. For example, a student who has an annual family income of more than P1,000,000 will pay the full cost of tuition, while a student with an annual family income of P135,000 gets free tuition, miscellaneous, and laboratory fees. For poverty-stricken families, UPCAT is a chance to provide an excellent college education for their children. However, out of the thousands who take UPCAT every year, only 15-17% make the cut. This proves that passing this entrance exam is an achievement in itself. 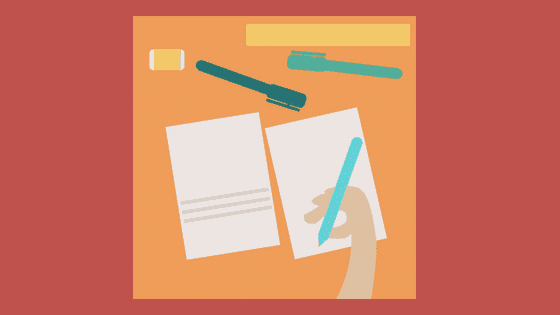 In this guide, we’ll enumerate some of the best tips and tricks shared by past and present UP students, the majority of which got in without enrolling in a review center. But how EXACTLY do you become an UPCAT Qualifier? Know the test composition and time allotments. Practice answering questions under pressure. Relax. Don’t put undue pressure on yourself. Qualifiers are determined by the University Predicted Grade or UPG. 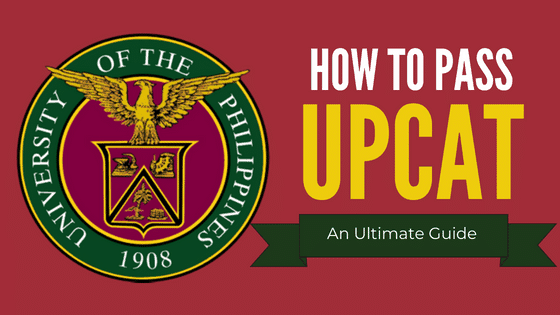 The UPG adds up your UPCAT score (60%) and your final grades from the last three years of high school (40%). Just so you know, the state university reserves 70% of the slots for those with the highest UPGs. The rest of the slots are reserved for the best of the underrepresented minorities, like cultural groups. Looking at the UPG, you can see now that putting in all that hard work in high school actually counts for something. However, if you have less than stellar grades, it is all the more reason to get the highest possible scores in the UPCAT to bring your UPG up. Preparation for UPCAT started the moment you first entered high school. Just like other college entrance examinations, UPCAT gauges not just the amount of information you’ve learned over the years but how effective your learning strategies are in retaining that information. Language Proficiency (in English and Filipino). Reading Comprehension (in English and Filipino). If you studied well in high school and understand the concepts by heart, you have great chances of passing UPCAT. After all, it’s a culmination of everything you’ve learned so far. However, it doesn’t mean you should be complacent. Students who graduated at the top of their class but failed UPCAT aren’t unheard of. Regardless if your high school performance was brilliant or lackluster, reviewing as early as 6-9 months before the exam should give you a headstart. Spend at least 30 minutes to an hour a day to refresh your memories on the lessons you think you’ve forgotten. While signing up for a review center is an option, the most that they can provide are tips and tricks on how to pass UPCAT. At the end of the day, months (or years) of preparation always beat the limited time you spend in a review center. It’s impossible to squeeze everything you’ve learned in high school into the limited time you have to review for UPCAT. Use your time wisely. Instead of spending equal hours on all subjects, allocate more review time on areas you’re struggling the most. Since you’re almost done with high school, you probably have an idea what your weaknesses are. If not, you can use the results of your mock exam to see the subjects where you got the lowest scores. Most students find Science and Math difficult. The bulk of UPCAT questions come from these subjects so make sure to concentrate on them especially if you didn’t take the STEM track in high school. Use mnemonics to remember basic formulas and concepts in Physics, Chemistry, etc. It’s not enough that you memorize them, you also have to know how to apply them in real-life scenarios. Be ready to encounter UPCAT questions that are research-related and ones that contain graphs. They may look intimidating but with simple analysis, you can break them down into simpler concepts. 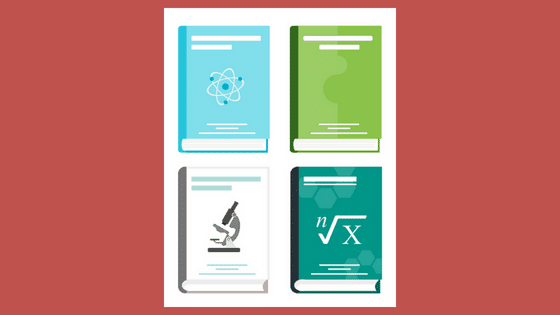 Get a good grasp of the fundamental concepts in biology, chemistry, and general science. Physics-related questions are relatively fewer but this may vary from year to year. As with science, no need to take advanced Math classes to get an edge. As long as you understand fundamental concepts and know how to apply them to solve word problems and equations, you’re good to go. Revisit your math lessons from grades 7 to 12. Review basic concepts in geometry, algebra, and syllogism. To help you retain the information better, you can draw or download figures of basic geometry formulas such as triangles in circles, Pythagorean theorem, circle formulas, and volume of a rectangle, among others. Answer as many math problems as you can. The mistakes and wrong answers can teach you more lessons than those you answered correctly. Remember, every wrong answer is an opportunity to improve your problem-solving skills. Don’t just rely on your Math teachers. Watch YouTube tutorials to understand confusing math concepts better. Establish a good reading habit. A student who loves to read has a wider vocabulary that the one who only reads when the school requires it. Look for the meanings of unfamiliar words and practice using them for better retention. Review the correct spellings of common misspellings in the English language (e.g., occasion, exaggerated, etc.). Learn how to derive the meaning of unknown words. In an exam, you may encounter words that you do not understand. These words may appear in the directions, the test questions, or the answer choices. Unless you have superpower abilities to memorize the entire dictionary, you can learn how to derive the meaning of unknown words by studying prefixes, suffixes, and root words. You can also get a working knowledge of etymology. Dedicate equal amount of time to studying and reviewing the Filipino language. Note that both local and foreign UPCAT takers will encounter test questions written in Filipino or related to the Filipino language. Know the Tagalog translation of basic science and math terms like shapes. Brush up on Filipino orthography or the correct spelling of Filipinized foreign words like heograpiya for geography, etc. 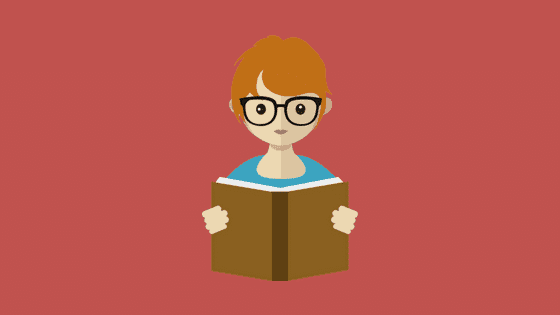 Practice speed reading in both English and Filipino. 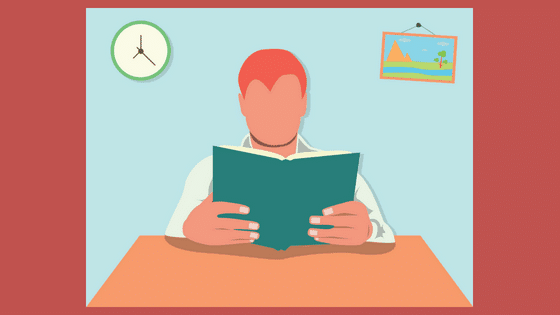 Two of the best speed reading strategies are skimming and scanning. The former is the process of reading a text quickly to get an idea what it’s all about. Scanning, on the other hand, is a reading technique you can use to find specific information without reading the whole text. Instead of reading the full text which can eat up a lot of time, read the questions first and then use the keywords in these questions to find the answers in the story using the scanning technique. By knowing the number of items for each subtest, you will know how much to study for each subject. At the same time, you can practice answering x number of items within the allotted time. Nowadays, you don’t need to go to your UPCAT exam not knowing what to expect. School-sponsored reviews, book reviewers, and college review centers will tell you what type of tests will most likely appear in the exam. From the table above, for example, you can already get a good grasp of the different subtests and the allotted time for each. Again, UPCAT is an aptitude exam. It measures how much you’ve learned in high school. Review centers may help condition your mind but don’t expect them to teach every lesson you missed in high school or provide questions that will appear in the actual exam. If anything, they’re lucrative businesses that prey on students’ lack of preparation and self-confidence. Having self-confidence doesn’t mean you know all the answers to any question hurled at you. It means you know how to choose an answer despite not knowing the actual answer. And in UPCAT, you will encounter unbelievably difficult questions A LOT. So how can you boost your self-confidence? By taking as many practice tests as you can. Don’t just rely on one UPCAT reviewer. Buy several reviewers in the bookstore or download ebooks online. You can also use SAT reviewers since foreigners who already took SAT usually find UPCAT relatively easier. The more questions you answer, the more efficient your test-taking skills become. You’ll learn how to increase your chances of getting the correct answer through the process of elimination and other strategies. Simulate UPCAT by using a timer. Get used to answering questions with a time limit so you won’t be as anxious by the time you take the actual UPCAT. Don’t forget to practice with questions in Filipino. Because U.P. is the state school, some of the questions in Reading Comprehension, Mathematics, and Science will be in Filipino. If you are not well-versed in Filipino, you will be at a disadvantage. Remember, test-taking is an art. Combine it with a reliable stock knowledge and you’ll surely ace the UPCAT. Rote memorization is for amateurs. You can memorize formulas and concepts all you want, but they will disappear as soon as your nerves get the better of you. 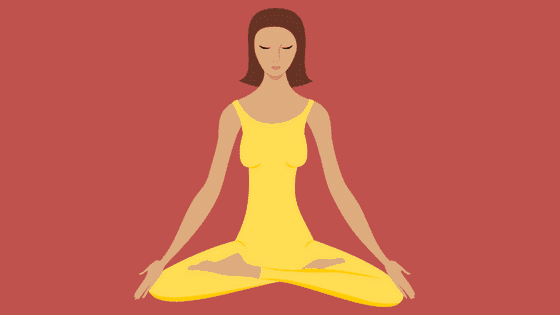 Instead of memorizing your lessons word-for-word, learn to internalize them. Look beyond the formulas, words, shapes, and concepts and understand the meaning behind them. If you can explain lessons in your own words without relying on superficial memorization, you’re on the right track. To prime your brain for better retention, you can perform mental exercises, play educational games, or do positive self-talk on the days leading up to the UPCAT. Note cards are also an excellent way to consolidate and organize those formulas and important concepts you need to remember. Just punch a hole and use a ring binder to keep them together. This way, you can bring them anywhere, and flip through them as you study. The UPCAT deducts a quarter point for every mistake, otherwise known as the “right minus ¼ wrong” penalty. The system also does not penalize for unanswered items. However, statistically speaking, it is better to make educated guesses than to leave blanks when you are not sure of the correct answer. A blank ensures a 100% incorrect score or 1-point deduction. If you take a chance and your answer turns out incorrect, you’ll lose 1.25 points for the mistake. Now, if you make an intelligent guess, you get a 25% chance of getting the correct answer. Your odds of answering correctly can be increased by excluding the wrong choices right off the bat. If you’re a master in the process of elimination, this is a risk worth taking. READ: How to Answer Multiple Choice Questions Like a ProNote that this isn’t a foolproof technique. If you absolutely have no idea about what is being asked, it’s up to you whether to leave it blank or make the best guess. Here is a general tip on how to eliminate answer choices: Out of, say, five choices, one or two will be obvious wrong answers. Mentally cross those out. Next, there will be at least two choices that will be the most likely correct answer. Sometimes, a giveaway is when two or three choices are very close to each other in value or meaning. Do as much analysis as you can to arrive at the most logical choice. Easy or difficult, test items have the same point value. And, they’re jumbled up in the exam too. 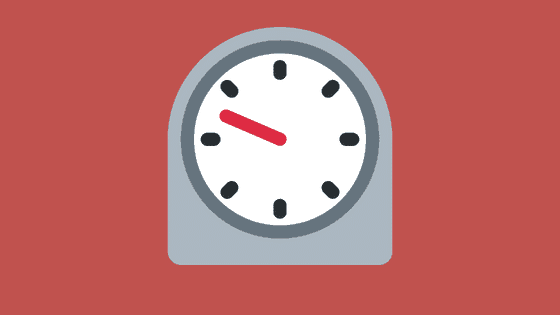 To manage your time optimally during test-taking, answer the easy questions first. Then, go back for the more difficult ones. Spending too much time on difficult questions might eat up your test time and leave you no more time to answer questions you would normally be able to answer. As a rule of the thumb, don’t spend more than 2 minutes on a single item. In the case of the reading comprehension subtest, you don’t have to read the entire text or story. Doing so will waste a lot of time especially if you’re not adept in speed reading. Instead, go directly to the question and then scan the paragraphs to find out the answer. Make sure you are answering the correct numbers on your answer sheets. Some poor souls have been known to unknowingly skip a number and ruin their entire test. Another tip: Bring a wristwatch so you can keep track of the time. Although the proctor will update you on how many minutes are remaining, it’s better if you have your own watch so you can pace yourself and finish each subtest within the allotted time. The more you think that taking the UPCAT is a life-or-death situation, the more likely you are to fail. See, our minds are powerful. If you’re thinking of failing the exam even before taking it, chances are the universe will conspire to turn your thoughts into reality. As the law of attraction guarantees, our thoughts become things. Also called the power of positive thinking and visualization, this law states that positive thoughts bring about positive results. Throughout your review period, focus only on positive thoughts. Visualize yourself passing the UPCAT. Using editing software, create and print pictures of yourself as an Iskolar ng Bayan. Look at your photos when you wake up and before you sleep. Putting too much pressure on yourself also results in poor concentration. It happens when you regard UPCAT so much as if your whole life depends on it. The truth is, UPCAT only measures your readiness for college, not your intelligence. This is why there are valedictorians and salutatorians who fail at it. It doesn’t mean they’re dumb, it’s just that they’re not as ready to handle the pressures of college as those who passed the exam. If you fail to be qualified in any of the competitive quota courses like Accountancy or Business Administration, you can still make an appeal. As long as your UPG is still high enough to be qualified in the campus you applied for, you’ll be considered for DPWS (degree program with available slot). In other words, you can still enroll in courses with open slots. Even if it’s not your first choice, you can still shift to your preferred course after a year. Another option would be to enroll in another campus with a lower cutoff. You can also be accepted to UP by virtue of your talent or athletic skills. Other students enroll in another university, earn the required grades, and then transfer to UP after a year. Your options are plenty so there’s no reason to torture yourself into passing UPCAT. Besides, failing UPCAT isn’t a bad thing if you look at the bigger picture. Being a UP graduate isn’t a guarantee that you’ll be successful in life. There are a lot of non-UP grads with stellar careers just as there are UP grads who didn’t achieve anything significant. So don’t stress yourself. Who cares if you didn’t do well in high school? You can’t change what already happened or control things that are already out of your control. Relax, do your best, and never look back. Do an ocular inspection of your test building and room a few days before the exam. Knowing how the place looks like means less frazzled nerves. This is especially true if your test venue is within UP Diliman. Since the campus is huge, it’s easy to get lost. Therefore, find the exact location of your classroom in advance so getting to it on the day of the examination will be a breeze. By doing so, you can also prepare for possible traffic congestion and determine whether to wear a comfortable shirt or a light jacket (for air-conditioned rooms). Bring a jacket. In the 2013 exams in Diliman, some test takers reported that the proctors turned up the aircon REALLY high, making the room an icebox. Extreme temperatures can ruin your concentration. In case you have colds or a cough on the day of the exam, don’t forget to take your medicines before going to the venue to prevent distracting yourself and other examinees. Arrive at least 30 minutes before the exam so you can relax and prepare yourself mentally. Important instructions are also given prior to the start of the exam. Bring sweets or foods that are easy (and not noisy) to eat. They help keep your energy up for those long grueling hours. Don’t eat or drink too much before taking the UPCAT. It’s easier to stave off hunger than to stop the urge to go to the bathroom in the middle of the exam. Don’t cram the night before the exam. Spend it instead to pep-talk yourself into giving UPCAT your best shot. Get enough sleep and rest. You can’t study everything so just calm your mind instead. And that’s it! Good luck with your UPCAT review and exam. Don’t forget to get back to us and tell us what tips worked for you.